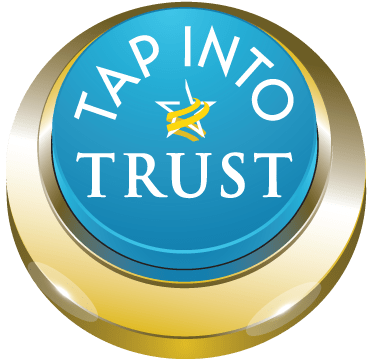 This is a timely article about what trust is and what it isn’t! Barbara Brooks Kimmel, pictured above left, is the CEO and Cofounder of Trust Across America-Trust Around the World whose mission is to help organizations build trust. She also runs the world’s largest global Trust Alliance and is the editor of the award-winning TRUST INC. book series. In 2017 she was named a Fellow of the Governance & Accountability Institute, and in 2012 she was recognized as one of “25 Women who are Changing the World” by Good Business International. Charles H. Green, above right, is an author, speaker and world expert on trust-based relationships and sales in complex businesses. Founder and CEO of Trusted Advisor Associates, he is author of Trust-based Selling, and co-author of The Trusted Advisor and the Trusted Advisor Fieldbook. He majored in philosophy (Columbia), and has an MBA (Harvard). He has authored articles in Harvard Business Review, Directorship Magazine, Management Consulting News, CPA Journal, American Lawyer, Investments and Wealth Monitor, and Commercial Lending Review.